Tires are one of the most important -- and most often overlooked -- safety-related components of our cars. Tires are the only thing that attaches our cars to the road, and tire problems affect your car's ride comfort, handling, and safety. Here are some simple tire safety tips to help keep you and your car's occupants safe. Tires tend to lose air over time -- about 1 psi per month and 1 psi for every ten-degree drop in temperature. Buy a digital tire gauge and check your tires once a month and before a long trip. Proper inflation pressures can be found in your owner's manual or on a sticker on the car (usually on the driver's doorjamb or fuel-filler lid -- see photo.) Remember to check tire pressure only after the car has been sitting for several hours in order to ensure that the tires are cold. The friction of driving heats the tires and increases pressure, which can hide an under-inflated tire. 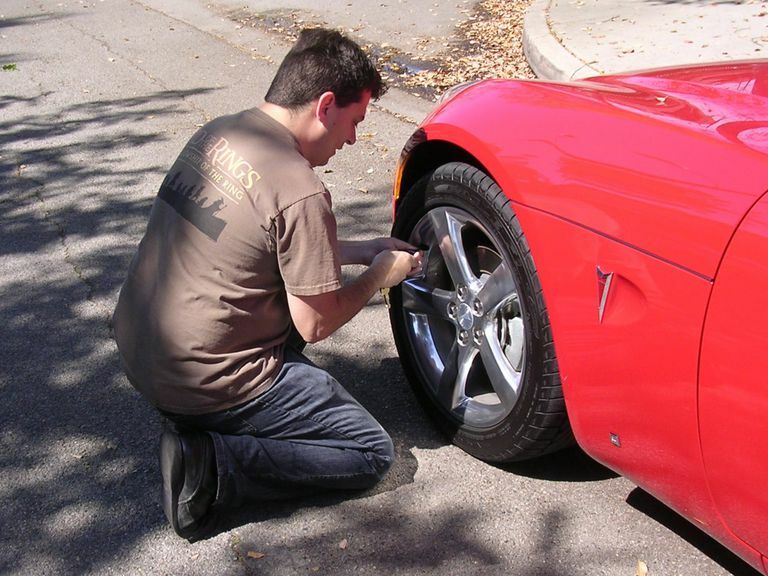 Check tread depth by placing the edge of a penny upside-down into the grooves of the tire's tread. (Photo here.) If you can see all of Lincoln's head, it's time for a new set of tires. Never buy a single tire -- it's best to replace all four tires at once, but at the very least they should be bought as axle pairs (both fronts or both rears). Rotating your tires every 5,000 to 7,000 miles will help ensure that all four tires wear at the same rate.